Posted by nrhatch in Art & Photography, Humor, Nature. Be open to unexpected pleasures . . . as you enjoy the journey through life! I love sky photos, these are great! 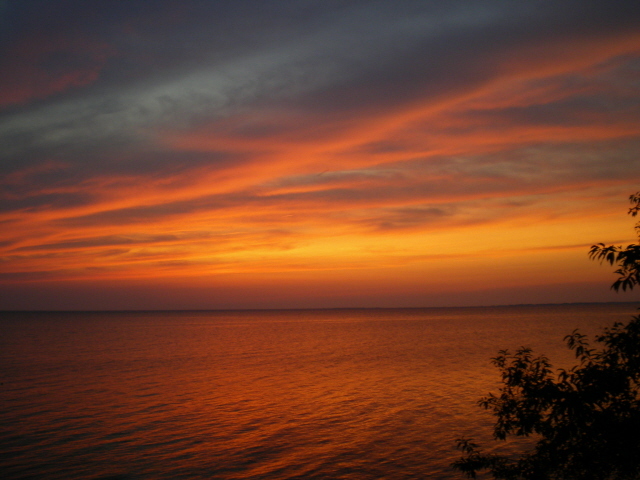 We would sit on the deck with a glass of wine and watch the last rays of the sun light up the night sky. Relaxing, humbling, and awe inspiring. Glad they resonated with you, Sharon! Thanks. Wonderful photographs – the sky looks like it’s on fire in some! The variety of colors and cloud formations never ceased to surprise us. You never knew quite what to expect . . . except the unexpected. I like your hammock lines! Thanks, Fritz. That’s the photo I went looking for and then I came across all the shots of the lines in the sunset sky. Had fun figuring out how to put them together. I didn’t either, liannouwen. I found the hammock photo first, and then stumbled into the sunsets and decided to tie them together. Beautiful pics! Great sky lines. I just want to lie down in the hammock. 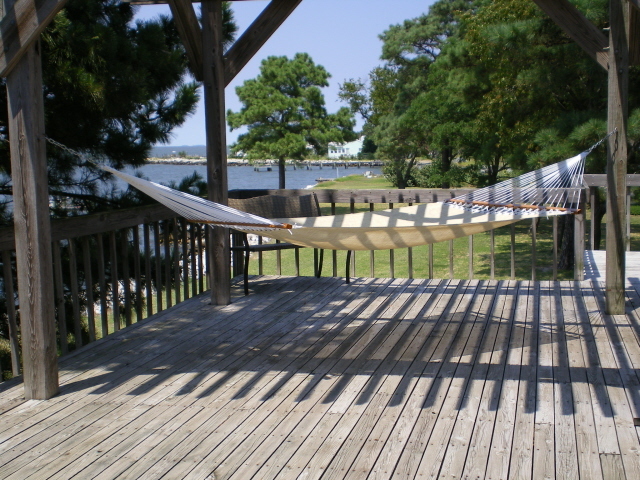 We had two places to hang the hammock ~ one under the pergola (above) and the other inside a covered breezeway. We didn’t use it all the time, so it was always an unexpected pleasure to swing back and forth and enjoy the breeze. What unusual pictures…think my favourite has to be the lines cast by shadows! Good eye, PiP. That’s the photo that I selected first for the challenge this week. 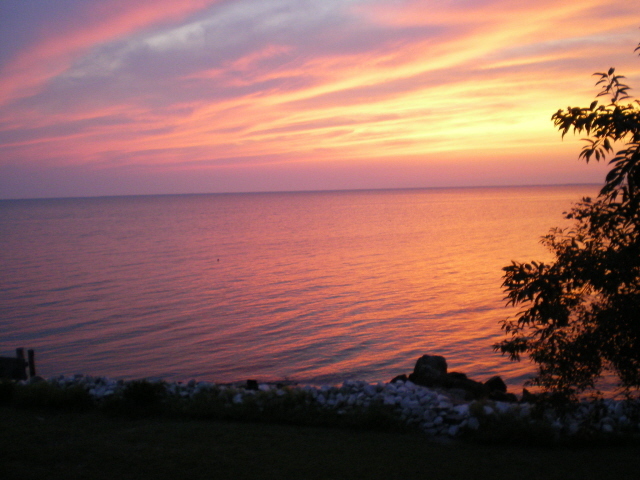 Then, I saw the sunset folder and decided to share another of life’s simple pleasures. Yes, I thought the sunsets were absolutely stunning…but the shadow lines were spot on! I always enjoy your final pic picks, PiP. Thanks, Carol Ann. I’m anxious to see what others do with the theme this week. 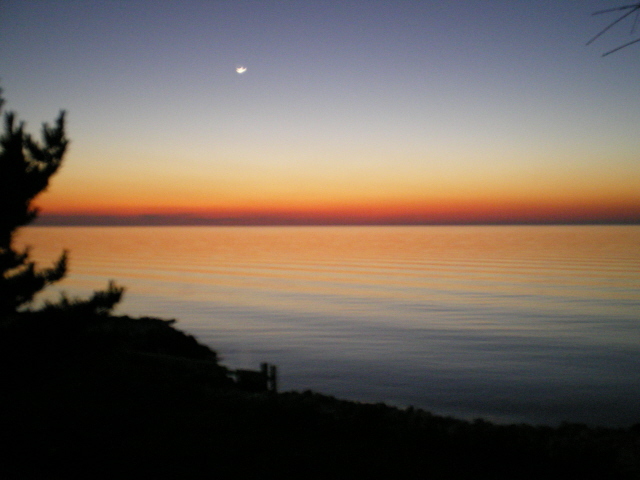 These photographs bring back memories of getting up before sunrise at Kure’s beach in NC. Walking out onto the pier and watching the sun rise over the horizon. Lovely photographs Nancy. Some of the most beautiful sunrises I’ve absorbed were in NC ~ the Outer Banks, Duck, Wrightsville Beach. Just gorgeous. “…the sun utilized the whole sky as a canvas.” I love that line. Just great. Thanks, Carl. We watched the sunsets and quickly realized we could never capture the spectacular imagery in a single painting or photograph. We ended up with an entire photo album devoted to sunset shots . . . and we still didn’t catch it all on film. Beautiful photos and love the quote “the sun utilized the whole sky as a canvas” as well. I see a pilot understands. Naturally you would see it that way too. 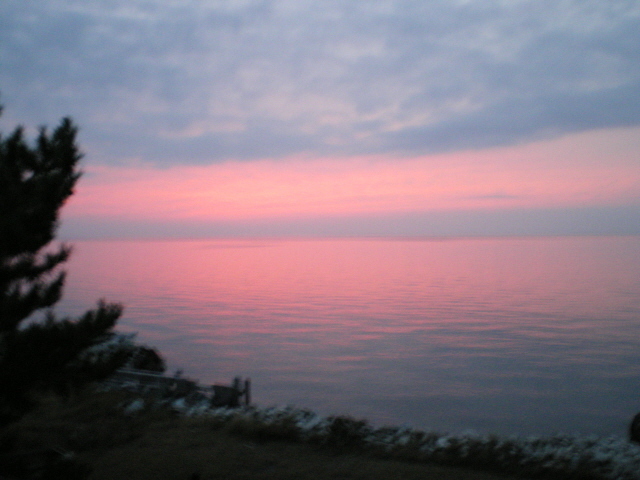 The expanse of each sunset (just in our “little corner of the world”) often boggled my mind. Life is so very BIG and we are so very small . . . Collapsing into a hammock to watch the clouds roll by always felt like an unexpected pleasure to me. And we never knew which colors would greet the eye on a given night. We learned to expect the unexpected. Sunrise and sunsets are my favorite photos to shoot. These are beautiful! Sunrises are wonderful too ~ a fresh start to the day, a chance to “get it right.” But I tend to miss more sunrises than I greet . . . as I’m still asleep. I feel like I just went on a wonderful 20 second vacation. Just beautiful. Cool! That’s the way I felt last night when choosing which sunsets to include ~ a subtle reminder of all the simple and unexpected pleasures we can enjoy . . . IF we keep our hearts, minds, and eyes open. Oh my word NR….magnificent shots…thank you for sharing. Thanks, Granny. I always feel the same when you share your lovely views of South Africa. What a GRAND world we inhabit. Thanks, Christine. From sunrise to sunset, our days are filled with magical moments. Lovely photos – the lines of connection are everywhere, aren’t they? Sometimes the filament that connects us is visible, and sometimes not. You got some great photos of the lines that Spirit draws uniting us with creation. I spent HOURS taking photos of sunsets one year – unfortunately none of them are digital. I’m not even sure I could find the negatives now. I’ve always loved sunsets and we get some beautiful ones in this part of the world too. Yours are stunning! Thanks, T.O.! We have plenty of non-digital photos too ~ I enjoy flipping through photo albums on occasion. If I want to share any, I scan them onto my computer. You inspired me to do just that – so I got about 8 out and scanned them, then updated my “Australia in Pictures” page. It was a start – I’ll need to do more! Thanks for the inspiration! Wow, those are some spectacular colours! Thanks for sharing! Absolutely beautiful sunsets. Beautiful photos. 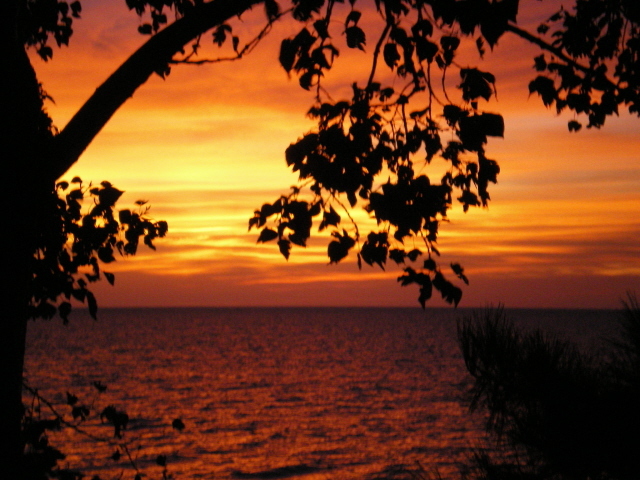 I love the sunset shots-so beautiful-I too like the hammock-good place to be to watch the sunset. Thanks, Penny. Glad you enjoyed. We just got back from watching the waves at the beach. I love the sky…and then the hammock…very relaxing! Nothing like swinging in a hammock under sunny or starry skies. Aww striking photos! Truly a master piece! Zoya ~ The photos you chose for the theme are stunning! Especially the guitar strings. Awesome.